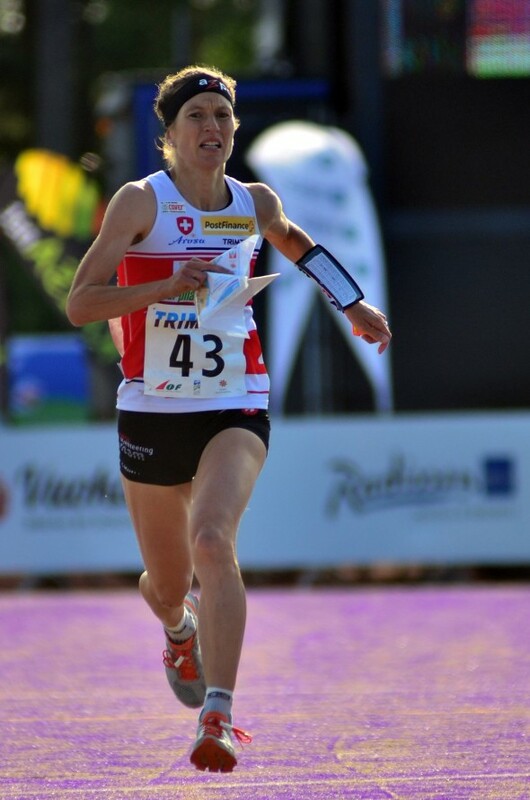 Home / Orienteering News / WOC Sprint GPS Analysis: Gold for Boström and Niggli! 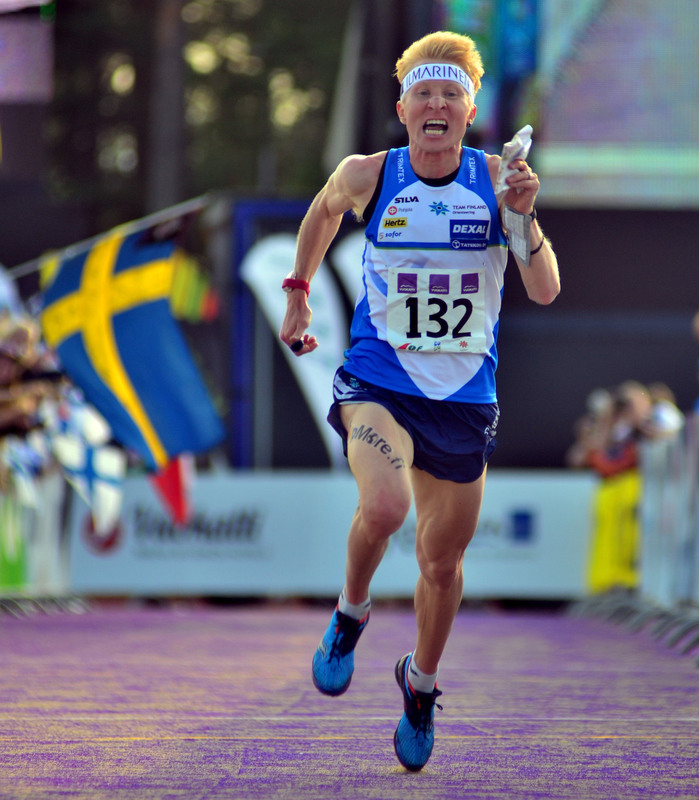 WOC Sprint GPS Analysis: Gold for Boström and Niggli! Mårten Boström won a very popular Gold medal on home ground in the World Championships Sprint today – literally running away from his competitors with higher running speed on the longer legs. 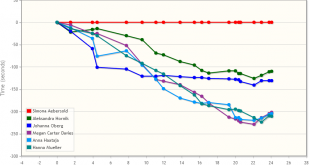 In the women’s class Simone Niggli took an expected gold medal – but Annika Billstam got very close in the end after a non-optimal route choice by Niggli. The World Champion from 2012 – Matthias Kyburz – had a clear lead after 2/3 of the race, but then Kyburz made a fatal mistake on his way to control 17. 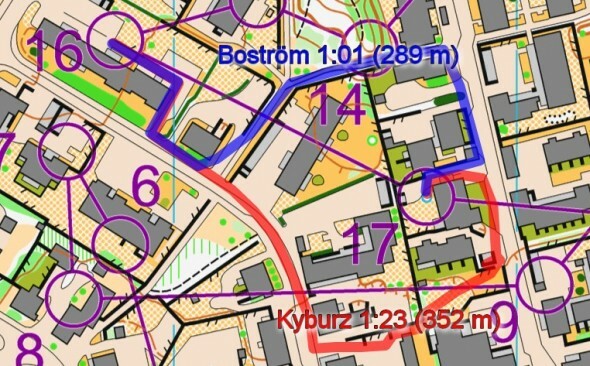 While Kyburz now was out of the fight for Gold, Boström’s lead was only 3 seconds down to the young Danish runner Rasmus Thrane Hansen with Jonas Leandersson, Fabian Hertner and Scott Fraser another 3 seconds behind when arriving at the 19th control – ready for long route choice leg of the day. This long leg was Thrane Hansen’s demise – losing as much as 17 seconds to Boström by taking extra climb and going over the top on paths instead of staying down on harder ground. Leandersson and Hertner also lost some seconds on their route choice. The illustrations below shows a comparison between Thrane Hansen and Boström, connecting the points were they would have been at the same time if starting together at control 19. Thrane Hansen first looses time up the hill – then is slower in the terrain – and finally is significantly slower running down the hill. While Boström runs between 3 and 4 min/km for most of the leg – just going up to around 5 min/km up the hill – Thrane Hansen is nearly up at 6 min/km for the first half minute of running on the leg. At the top of the hill he manages to run below 4 min/km, but in the downhill Thrane Hansen is again up to around 4:30 min/km. Remember that Thrane Hansen and Boström had nearly equal speed earlier in the course – although Boström was somewhat faster on the long legs with a lot of pure running. With Thrane Hansen out, there were still three runners fighting for the medals. Fabian Hertner lost the battle due to a mistake to control 22 – a mistake he described as a small mistake, but which nevertheless cost him a medal. The splitsbrowser below shows the fight for Top 6 in the mens class. 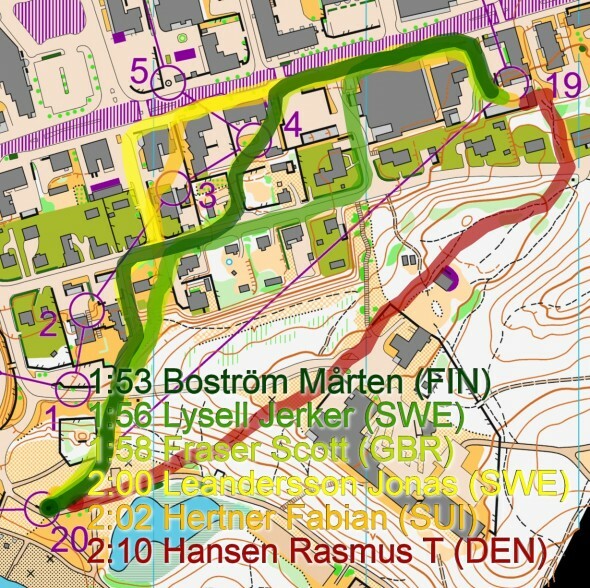 As you can see Fraser decided silver for himself on the leg to the finish – after being equal with Jonas Leandersson on the last control. 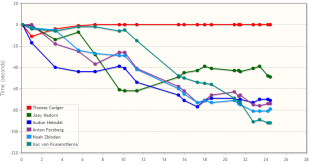 Generally Boström was faster than Kyburz and the others on the longer legs – but is seems like Kyburz has an edge on the trickier short legs – an advantage the Swiss could not turn into victory today. 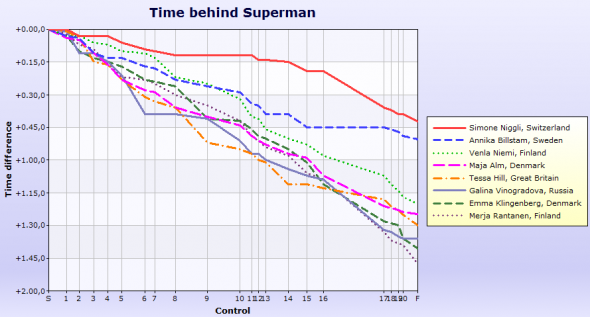 From this detailed split analysis you can see how the legs to control 17, 18 and 20 are the most decisive one in the race overall – where most runners lose time. Control 18 is also one of the legs where Boström looses most time. Simone Niggli had the highest speed in today’s sprint as so often before. Before the long route choice leg from 16 to 17 – which was equal to the men’s long leg – Niggli had built a significant lead of 26 seconds by running several best leg times – especially dominating on the long legs. This is illustrated in the splitsbrowser below – a horizontal line indicating the best split time on a leg. As you can see, Niggli looses nearly all the lead she has built up on the rest of the course on the leg to number 17. 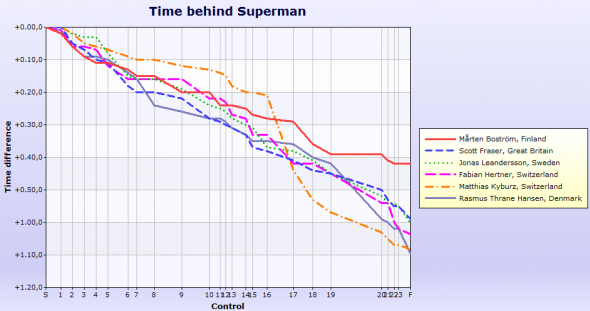 The lead shrinks with 17 seconds – from 26 seconds down to 9 seconds. Niggli’s mistake is the same as Thrane Hansen’s – going left over the hill. Billstam on the other hand takes the same choice as Boström – running fast on hard surface. Just as Boström, Billstam really finds her top speed on this leg and is 5 seconds faster than the next woman. 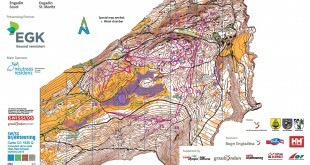 Niemi also chooses the same route as Billstam – compared to Maja Alm running over the hill. This probably saves the bronze medal for Niemi as Alm runs fast on Niggli’s route. On the illustration below you see how Niggli’s choice is just as long as Billstam’s – but with the added ascent, the paths instead of hard ground and the downhill in terrain at the end of the leg. Rantanen chooses another option which is similar in running time to the one of Niggli with similar characteristics. @Eric: you´re right. And she did not miss the podium by doing so, she only “seemed to miss the podium” (cited text) lying 9 seconds behind Niemi at the 18th control. In fact, WOC-final was a city-sprint with a labyrinth of fences! 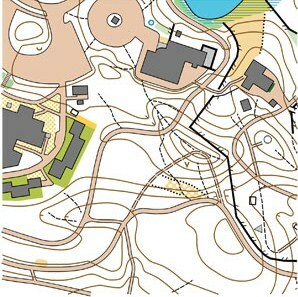 If you (Finnish runners) have a relevant knowledge about true terrain, you can design best strategy of preparation. I have feelings, that this situation is far away from declared “Fair play”. Mikhail, every (elite) team knew that there would be more fences. Do you really think that Mårten ment that he knew the places of those fences? You should be very carefull with such accusations. What feeling do you have from last year’s sprint? How come swiss men were that superior? I got a feeliing that they were just that good. I am one of the Russian National coaches. Russian team does not have this information in advance. Samples of map should reflect true map situation. It is another way of long-term preparation. You can spend limited time to train combination of forest sprint and urban sprint or you can spend training time to speed route choices around fences. I dont know how are typical Finnish towns look like. And dozens of other teams dont know. We are analysing official information (map samples, borders of forbiden area, old maps). And according to this information (old borders of forbiden area include a LOT of forest, map sample does not reflect true competition map) coaches design long-term program of preparation. Just imagine – e.g. WOC-map sample include a lot of marshes. You are thinking: OK, my runners should be prepared for this. But when you spend one year of trainings inside different marshes and came to competition – there are no marhses at all! Is it fair?.. I think that it was just normal “homeground advantage” – the same as the Swiss had last year. 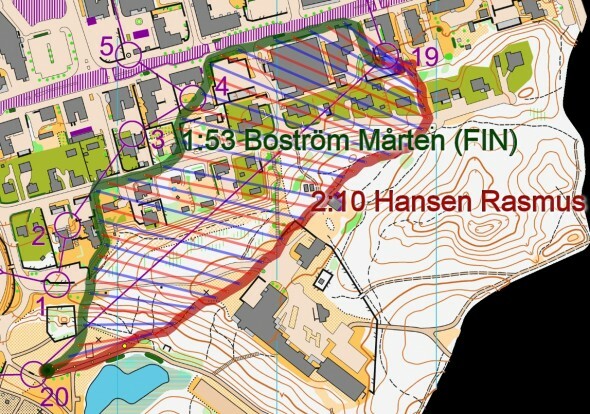 Regarding official preliminary information, I also expected more forest – maybe 1/3 of the course. But I was also sure that there will be some new fences because they have used them in Finland in many other sprints. And I’m not in any way involved in Finnish national team or WOC organizers. I dont blame any one, I dont say that source of this extra information of Mårten is WOC-organizers. I just say about facts. In my opinion, even if you are living in South Africa of Brasil, you have to get correct relevant information from WOC-organizers IN ADVANCE (then you have a chance to develop successful training program, design relevant WOC-test races and plan relevant training camps). Mikhail, I had expected, purely based on the World Cup maps from NORT last year (which I studied because I considered NORT 2012 in Kajaani/Vuokatti a “WOC test event”), that there would be a lot of artificial boundaries in this year’s WOC sprint. This material I guess should be a natural part of the preparations for the WOC sprint? I found these maps on the Internet. Unspectacular Finnish cities have been pimped for sprint orienteering with artificial fences, which should be known from the 2012 NORT. The result is an impressive 2013 WOC sprint course with dual route choices on almost every leg and multiple route choices on some legs. The best sprint orienteers on that day rather than the best runners have won. Congratulations to the course setters, in my opinion, it was worth the extra efforts. Courses were excellent. Thats true!